Pastor Cazis continues his message series on Ecclesiastes with a message entitled "A Cheerful Heart" from Ecclesiastes 11. 1. Don't live your life paralyzed by fear (11:1-2). 2. Spend your life in diligence (11:3-6). 3. Treasure life while you have it (11:7-8). 4. 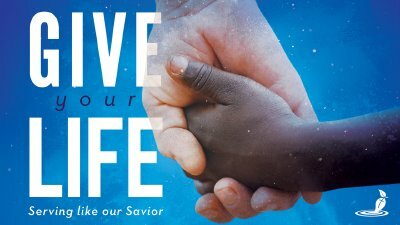 Steward life and prepare for eternity (11:9-10). Pastor Cazis continues the series on Ecclesiastes. Today's message is titled "Avoiding the Foolish Life." The main points are: 1. Our reputation is fragile. Affected by your heart Affected by your character Affected by your sprit Affected by your responses 2. Our words can devour us. 3, Our work affects the productiveness of our life. The text is Ecclesiastes Chapter 10: 1Dead flies cause the ointment of the apothecary to send forth a stinking savour: so doth a little folly him that is in reputation for wisdom and honour. 2 A wise man's heart is at his right hand; but a fool's heart at his left. 3 Yea also, when he that is a fool walketh by the way, his wisdom faileth him, and he saith to every one that he is a fool. 4 If the spirit of the ruler rise up against thee, leave not thy place; for yielding pacifieth great offences. 5 There is an evil which I have seen under the sun, as an error which proceedeth from the ruler: 6 Folly is set in great dignity, and the rich sit in low place. 7 I have seen servants upon horses, and princes walking as servants upon the earth. 8 He that diggeth a pit shall fall into it; and whoso breaketh an hedge, a serpent shall bite him. 9 Whoso removeth stones shall be hurt therewith; and he that cleaveth wood shall be endangered thereby. 10 If the iron be blunt, and he do not whet the edge, then must he put to more strength: but wisdom is profitable to direct. 11 Surely the serpent will bite without enchantment; and a babbler is no better. 12 The words of a wise man's mouth are gracious; but the lips of a fool will swallow up himself. 13 The beginning of the words of his mouth is foolishness: and the end of his talk is mischievous madness. 14 A fool also is full of words: a man cannot tell what shall be; and what shall be after him, who can tell him? 15 The labour of the foolish wearieth every one of them, because he knoweth not how to go to the city. 16 Woe to thee, O land, when thy king is a child, and thy princes eat in the morning! 17 Blessed art thou, O land, when thy king is the son of nobles, and thy princes eat in due season, for strength, and not for drunkenness! 18 By much slothfulness the building decayeth; and through idleness of the hands the house droppeth through. 19 A feast is made for laughter, and wine maketh merry: but money answereth all things. 20 Curse not the king, no not in thy thought; and curse not the rich in thy bedchamber: for a bird of the air shall carry the voice, and that which hath wings shall tell the matter. 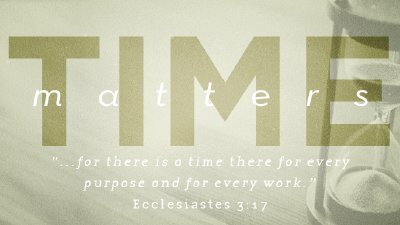 Pastor Cazis continues his series on Ecclesiastes with a message entitled "Life Priorities'. Points in today's message are: 1. Many aspects of life are out of my control 2. Know the value of time 3. We will not always understand life's results 4. A life of wisdom can make a big impact The text is Ecclesiastes 9:1-18 1For all this I considered in my heart even to declare all this, that the righteous, and the wise, and their works, are in the hand of God: no man knoweth either love or hatred by all that is before them. 2 All things come alike to all: there is one event to the righteous, and to the wicked; to the good and to the clean, and to the unclean; to him that sacrificeth, and to him that sacrificeth not: as is the good, so is the sinner; and he that sweareth, as he that feareth an oath. 3 This is an evil among all things that are done under the sun, that there is one event unto all: yea, also the heart of the sons of men is full of evil, and madness is in their heart while they live, and after that they go to the dead. 4 For to him that is joined to all the living there is hope: for a living dog is better than a dead lion. 5 For the living know that they shall die: but the dead know not any thing, neither have they any more a reward; for the memory of them is forgotten. 6 Also their love, and their hatred, and their envy, is now perished; neither have they any more a portion for ever in any thing that is done under the sun. 7 Go thy way, eat thy bread with joy, and drink thy wine with a merry heart; for God now accepteth thy works. 8 Let thy garments be always white; and let thy head lack no ointment. 9 Live joyfully with the wife whom thou lovest all the days of the life of thy vanity, which he hath given thee under the sun, all the days of thy vanity: for that is thy portion in this life, and in thy labour which thou takest under the sun. 10 Whatsoever thy hand findeth to do, do it with thy might; for there is no work, nor device, nor knowledge, nor wisdom, in the grave, whither thou goest. 11 I returned, and saw under the sun, that the race is not to the swift, nor the battle to the strong, neither yet bread to the wise, nor yet riches to men of understanding, nor yet favour to men of skill; but time and chance happeneth to them all. 12 For man also knoweth not his time: as the fishes that are taken in an evil net, and as the birds that are caught in the snare; so are the sons of men snared in an evil time, when it falleth suddenly upon them. 13 This wisdom have I seen also under the sun, and it seemed great unto me: 14 There was a little city, and few men within it; and there came a great king against it, and besieged it, and built great bulwarks against it: 15 Now there was found in it a poor wise man, and he by his wisdom delivered the city; yet no man remembered that same poor man. 16 Then said I, Wisdom is better than strength: nevertheless the poor man's wisdom is despised, and his words are not heard. 17 The words of wise men are heard in quiet more than the cry of him that ruleth among fools. 18 Wisdom is better than weapons of war: but one sinner destroyeth much good. This week Pastor Cazis is back and picks up his series on Ecclesiastes. The message is titled Boldness, and looks at these four points: 1 God is the ultimate authority. 2 We can rest in God's judgment. 3 We can trust God's justice. 4 We can walk in God's wisdom. The text is Ecclesiastes 8. 1Who is as the wise man? and who knoweth the interpretation of a thing? a man's wisdom maketh his face to shine, and the boldness of his face shall be changed. 2 I counsel thee to keep the king's commandment, and that in regard of the oath of God. 3 Be not hasty to go out of his sight: stand not in an evil thing; for he doeth whatsoever pleaseth him. 4 Where the word of a king is, there is power: and who may say unto him, What doest thou? 5 Whoso keepeth the commandment shall feel no evil thing: and a wise man's heart discerneth both time and judgment. 6 Because to every purpose there is time and judgment, therefore the misery of man is great upon him. 7 For he knoweth not that which shall be: for who can tell him when it shall be? 8 There is no man that hath power over the spirit to retain the spirit; neither hath he power in the day of death: and there is no discharge in that war; neither shall wickedness deliver those that are given to it. 9 All this have I seen, and applied my heart unto every work that is done under the sun: there is a time wherein one man ruleth over another to his own hurt. 10 And so I saw the wicked buried, who had come and gone from the place of the holy, and they were forgotten in the city where they had so done: this is also vanity. 11 Because sentence against an evil work is not executed speedily, therefore the heart of the sons of men is fully set in them to do evil. 12 Though a sinner do evil an hundred times, and his days be prolonged, yet surely I know that it shall be well with them that fear God, which fear before him: 13 But it shall not be well with the wicked, neither shall he prolong his days, which are as a shadow; because he feareth not before God. 14 There is a vanity which is done upon the earth; that there be just men, unto whom it happeneth according to the work of the wicked; again, there be wicked men, to whom it happeneth according to the work of the righteous: I said that this also is vanity. 15 Then I commended mirth, because a man hath no better thing under the sun, than to eat, and to drink, and to be merry: for that shall abide with him of his labour the days of his life, which God giveth him under the sun. 16 When I applied mine heart to know wisdom, and to see the business that is done upon the earth: (for also there is that neither day nor night seeth sleep with his eyes:) 17 Then I beheld all the work of God, that a man cannot find out the work that is done under the sun: because though a man labour to seek it out, yet he shall not find it; yea farther; though a wise man think to know it, yet shall he not be able to find it. Pastor Cazis continues the series on Ecclesiastes. We continure in chapter 7, starting at verse 7, looking at the Benefits of Wisdom. 7 Surely oppression maketh a wise man mad; and a gift destroyeth the heart. 8 Better is the end of a thing than the beginning thereof: and the patient in spirit is better than the proud in spirit. 9 Be not hasty in thy spirit to be angry: for anger resteth in the bosom of fools. 10 Say not thou, What is the cause that the former days were better than these? for thou dost not enquire wisely concerning this. 11 Wisdom is good with an inheritance: and by it there is profit to them that see the sun. 12 For wisdom is a defence, and money is a defence: but the excellency of knowledge is, that wisdom giveth life to them that have it. 13 Consider the work of God: for who can make that straight, which he hath made crooked? 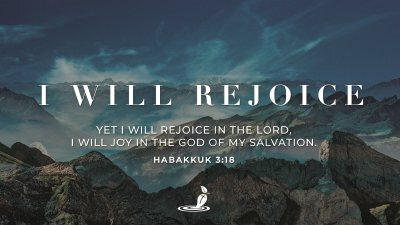 14 In the day of prosperity be joyful, but in the day of adversity consider: God also hath set the one over against the other, to the end that man should find nothing after him. 15 All things have I seen in the days of my vanity: there is a just man that perisheth in his righteousness, and there is a wicked man that prolongeth his life in his wickedness. 16 Be not righteous over much; neither make thyself over wise: why shouldest thou destroy thyself ? 17 Be not over much wicked, neither be thou foolish: why shouldest thou die before thy time? 18 It is good that thou shouldest take hold of this; yea, also from this withdraw not thine hand: for he that feareth God shall come forth of them all. 19 Wisdom strengtheneth the wise more than ten mighty men which are in the city. 20 For there is not a just man upon earth, that doeth good, and sinneth not. 21 Also take no heed unto all words that are spoken; lest thou hear thy servant curse thee: 22 For oftentimes also thine own heart knoweth that thou thyself likewise hast cursed others. 23 All this have I proved by wisdom: I said, I will be wise; but it was far from me. 24 That which is far off, and exceeding deep, who can find it out? Pastor Cazis continues the series on Ecclesiastes. This time we look at chapter 7, verses 1-6, and the wisdom of an old man. Ecclesiastes 7:1-6 1 A good name is better than precious ointment; and the day of death than the day of one's birth. 2 It is better to go to the house of mourning, than to go to the house of feasting: for that is the end of all men; and the living will lay it to his heart. 3 Sorrow is better than laughter: for by the sadness of the countenance the heart is made better. 4 The heart of the wise is in the house of mourning; but the heart of fools is in the house of mirth. 5 It is better to hear the rebuke of the wise, than for a man to hear the song of fools. 6 For as the crackling of thorns under a pot, so is the laughter of the fool: this also is vanity.  Pastor Cazis continues this series of messages on the book of Ecclesiastes. 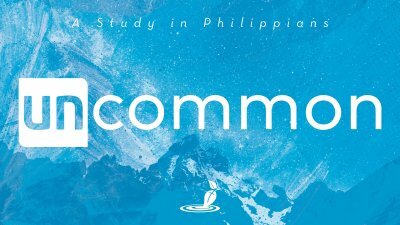 While so many think of Ecclesiastes as having a depressing message, we are seeing in this study, the up lifting message as we learn from Solomon's mistakes and life lessons. The text is Ecclesiastes 6:1-12 1 There is an evil which I have seen under the sun, and it is common among men: 2 A man to whom God hath given riches, wealth, and honour, so that he wanteth nothing for his soul of all that he desireth, yet God giveth him not power to eat thereof, but a stranger eateth it: this is vanity, and it is an evil disease. 3 If a man beget an hundred children, and live many years, so that the days of his years be many, and his soul be not filled with good, and also that he have no burial; I say, that an untimely birth is better than he. 4 For he cometh in with vanity, and departeth in darkness, and his name shall be covered with darkness. 5 Moreover he hath not seen the sun, nor known any thing: this hath more rest than the other. 6 Yea, though he live a thousand years twice told, yet hath he seen no good: do not all go to one place? 7 All the labour of man is for his mouth, and yet the appetite is not filled. 8 For what hath the wise more than the fool? what hath the poor, that knoweth to walk before the living? 9 Better is the sight of the eyes than the wandering of the desire: this is also vanity and vexation of spirit. 10 That which hath been is named already, and it is known that it is man: neither may he contend with him that is mightier than he. 11 Seeing there be many things that increase vanity, what is man the better? 12 For who knoweth what is good for man in this life, all the days of his vain life which he spendeth as a shadow? for who can tell a man what shall be after him under the sun?